Customer must invoice (with JPJ registration) of Toyota vehicle from 1 May - 30 June 2015. Customer shall provide all required information by Sales Advisor at Outlet during booking of Toyota vehicle. ALL invoicing (with JPJ registration) under (Private Individual) from 1 May - 30 June 2015 will automatically qualified for this contest. The eventual winners will be randomly selected in the form of a lucky draw from the pool of participants upon the conclusion of the Contest Period by a selected audit firm at the discretion of the Organiser. 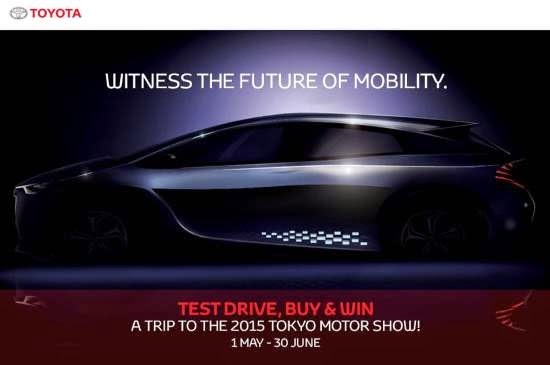 Visit Toyota Buy & Win Contest page for more details.